Recent statistics show that, in South Africa, 1 in 28 women will develop breast cancer in their lifetime. With education around early detection being identified as a life saving measure, October has been earmarked as breast cancer awareness month. As a brand who has the opportunity to actively connect with women, Jockey partnered with PinkDrive to raise funds for their awareness and education campaigns, and mobile breast clinic units. South Africa’s first and only mobile Mammography and Educational Units through our country, PinkDrive, currently runs four “Pink” mobile breast check units, as well as nine educational cars. All units travel to semi-urban and urban areas around South Africa with the aim of enabling numerous disadvantaged communities’ access to diagnostic mammography screening, education, physical examinations and how to do breast self-examination. Through integrity, accountability, discipline and passion PinkDrive have provided over 15,000 free mammograms, done over 126,500 clinical breast examinations in community areas, and educated over 369,700 women and men in South Africa on the importance of early detection of cancer. “For the month of October, Jockey has committed to donating R5 for every bra, bralette, crop top and sports bra bought at any one of the Jockey stores. With the launch of our beautiful Bras by Jockey range, we thought that this is the ideal time to use our resources and range to contribute to a good cause,” Jenna Carter, Jockey Brand Manager. “This is an initiative that we feel very excited to be involved in as PinkDrive are really doing astounding things in our country and if we can do our part, a little bit at a time, we can empower more through education and health,” ends Jenna. For over 140 years, Jockey has led the apparel industry by producing garments that connect with the spirit of adventure and continues to inspire a renewed sense of individuality and freedom in modern men and women across the world. Interview with Music PR Guru’s from One-eyed Jack. 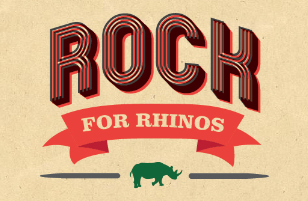 Zula Bar Rocked for Rhinos!